Does my DriveNow membership change? What changes for DriveNow members? Will the DriveNow Zone & car2go Home Area change? 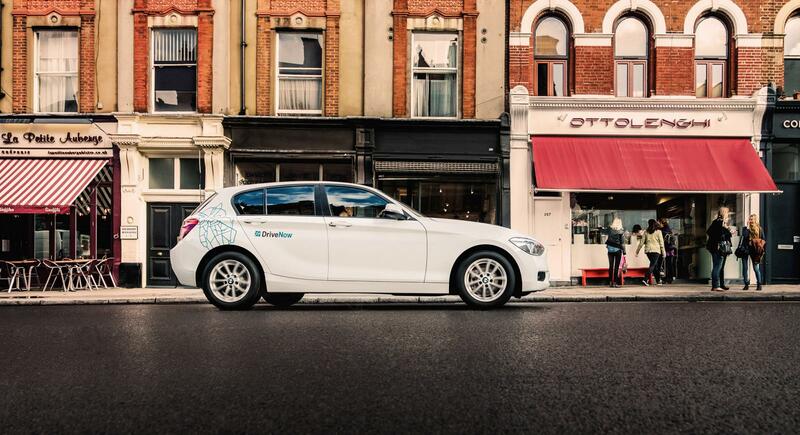 How do I reserve a car2go vehicle with the DriveNow app? When will a SHARE NOW app be available? When will my DriveNow account be ready? Who can register as a DriveNow customer? Is there a DriveNow customer card? Will a certain sum be blocked on my credit/debit card each time I use a car? What area does the DriveNow Zone cover? How do I check the live time of my rental? Can I open and drive the DriveNow car using another person's customer card or app? How can I unlock and lock the car? Do I need to return the car refuelled/recharged? Which cars can I drive if I've only got a driving licence for automatic cars? Where can I end my rental in the DriveNow Zone? Is there anywhere I can't end my rental? How can I book an hourly or daily package? How do I view the live time of my hourly or daily package? What happens when I have used up my hour/mileage allowance in my hourly package? How can I book a Savings Package? Can I use packages, bonus minutes and monetary credit in every DriveNow country? In which order are bonus minutes, monetary credit and Savings Packages used up? What is the difference between bonus minutes and monetary credit? Where can I check my bonus minutes and monetary credit balance? What can I use my monetary credit and bonus minutes for? Is the Dart Charge (Dartford Crossing) included in the DriveNow rental cost?